I enjoy watching surfers, and I love and thrive being in and around the ocean. The sea possesses incredible power seen in waves, but many people don’t experience the awesome strength unseen below the surface. Great surfers must possess a power of their own to go head-to-head with this unimaginable force of nature. While you may see something on the surface, and think that’s all there is to see, remember there is likely something even more powerful below. 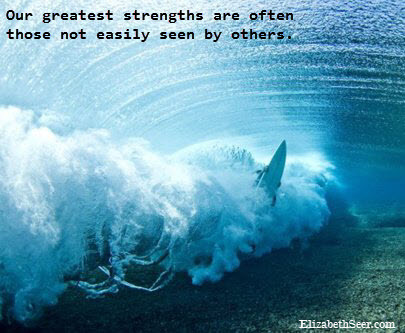 hidden strength, ocean strength, strong underneath, surfer strength. Bookmark.